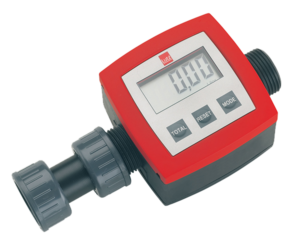 Lutz Pump flow meters are instruments made of plastic and metal for volume measurement of thin-bodied to highly viscous liquids. They are suited for all applications – whether installed at a mobile pump system or in a stationary piping. Speak With A Lutz Pump Expert Today! Our experienced and knowledgeable Pump Sales Team are standing by to assist you with all of your Lutz Pump Needs!